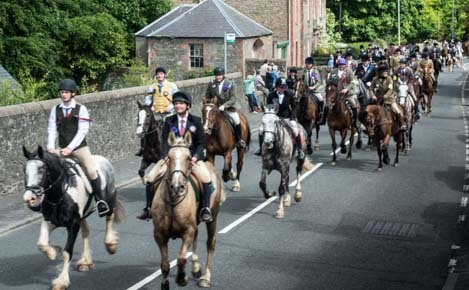 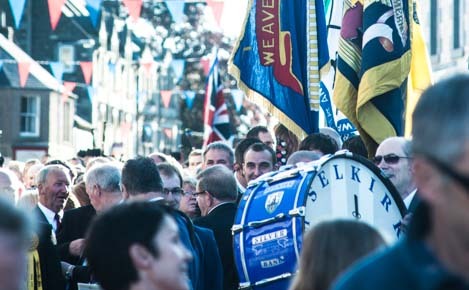 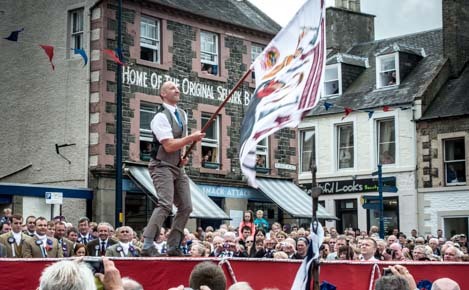 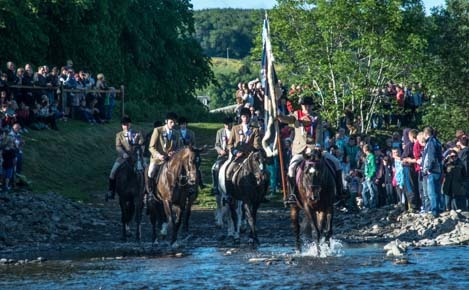 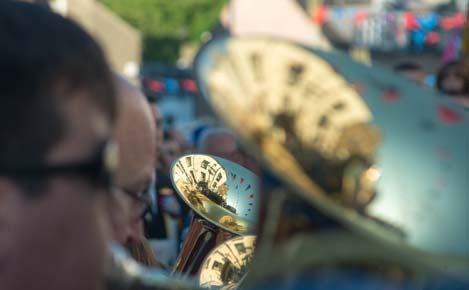 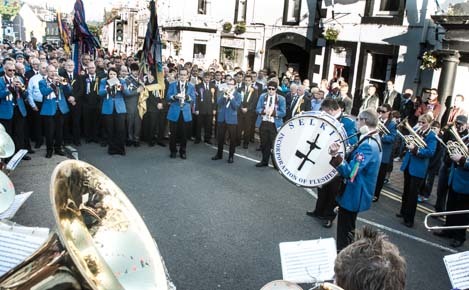 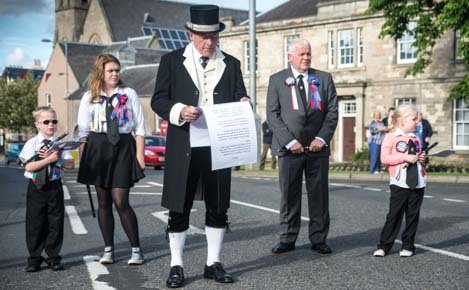 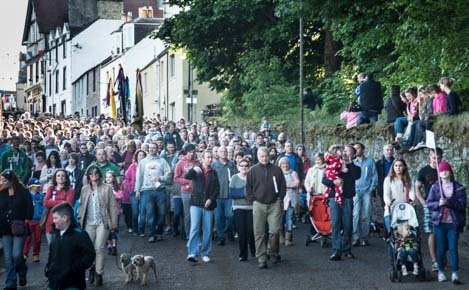 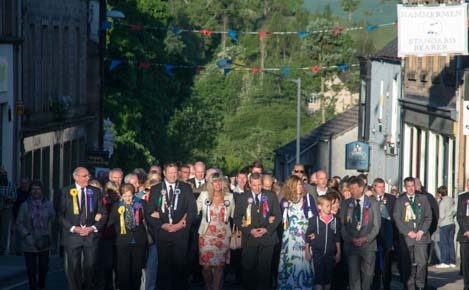 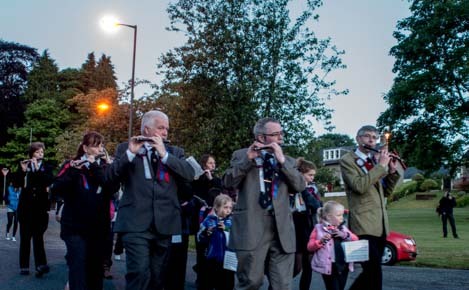 DC Dalgliesh's marque honours Selkirk's lone banner-bearer, Fletcher, whose bravery is celebrated at the climax of the annual Common Riding, the highlight of our local calendar. 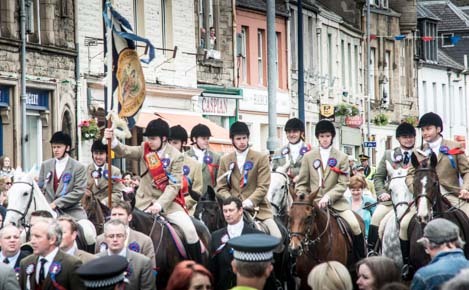 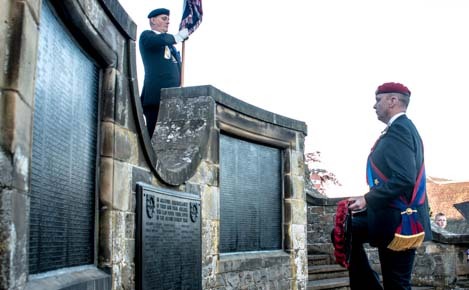 It commemorates 1513, when most of Selkirk's men fought and died at the battle of Flodden. 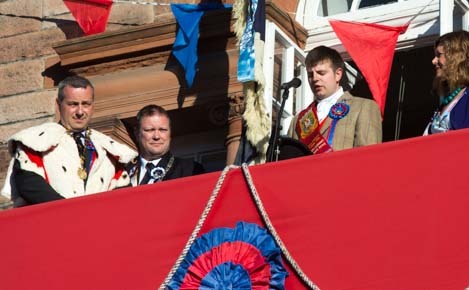 Fletcher, a weaver, returned alone, carrying a captured English banner. 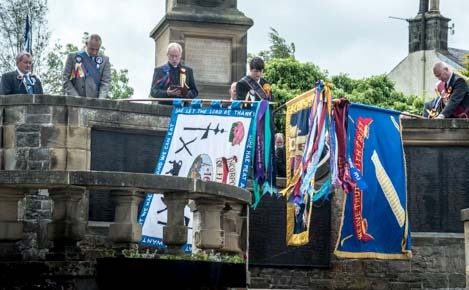 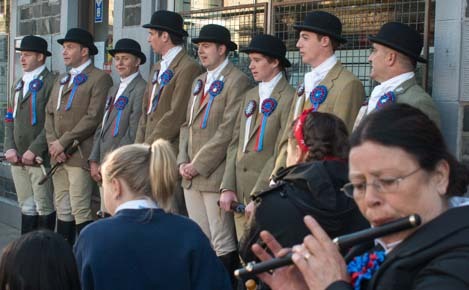 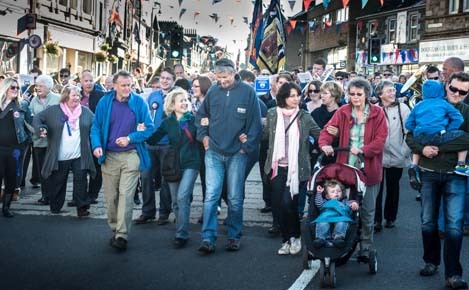 These images are from 2013, the 500th anniversary. 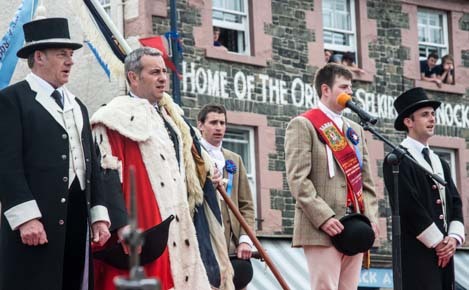 This year's Standard Bearer is appointed, and the Bussin' of the Royal Burgh Flag ceremony takes place on the balcony, charging him to keep it "safe oot, safe in"
Once the Burgh Flag is returned "unsullied and untarnished" for another year, representatives of each traditional Craft pay homage to those who fell in the wars.